With the first week of classes underway, three of Ball State's athletic teams will be in action this weekend. Field hockey at Appalachian State, 3 p.m.
Women's volleyball vs. Youngstown State (at Fort Wayne), 4 p.m.
Soccer vs. Xavier, 5 p.m.
Women's volleyball vs. Murray State (at Fort Wayne), 10 a.m.
Women's volleyball at Fort Wayne, 7 p.m.
Field hockey at Davidson, 1 p.m.
Soccer vs. Fort Wayne, 2 p.m.
With the first week of classes set to conclude, three Ball State athletic teams will compete this weekend. Soccer will play at home against Xavier Aug. 26 and Fort Wayne on Aug. 28. Field hockey opens its season with a pair of games in North Carolina against Appalachian State Aug. 26 and Davidson Aug. 28. Women’s volleyball kicks off its season with three games at the Fort Wayne Invitational beginning Aug. 26. After being upset in the Mid-American Conference tournament last year by the University of Akron, the Cardinals have responded the best way they know how – winning their first two games of the season. Several freshmen have made an immediate impact, including forward Sam Kambol. She scored two goals in the team’s Aug. 21 4-1 win over Indiana University-Purdue Univeristy Indianapolis. Having played two home games before classes started, senior midfielder Chay McNitt said the team is excited that students are back on campus. Aug. 26’s game against Xavier is at 5 p.m. and Aug. 28’s game against Fort Wayne is at 2 p.m. Both will be held at Briner Sports Complex. Newly-appointed field hockey coach Christy Longacre looks to help turn around a program which had a 2-16 record last season. Longacre was a two-time All-American while playing at Old Dominion. She started as an assistant coach at Ball State in 2014 before taking over as head coach in December 2015. First up for the Cardinals is a game against the Appalachian State Mountaineers, a future member of the Mid-American Conference. The Cardinals have won their past three games against Appalachian State. Game two in the Cardinals' weekend road trip is against the Davidson Wildcats. 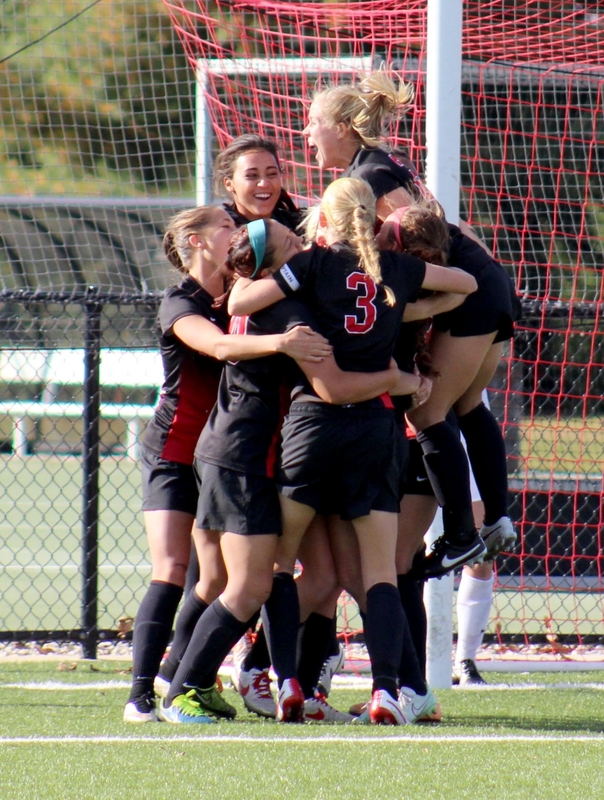 Davidson was ranked fourth in this year’s Preseason Coaches’ Poll. The Cardinals, however, beat the Wildcats 4-1 in their last matchup in 2014. In Kelli Miller's debut as head coach, Ball State will be travel an hour north on I-69 for the Fort Wayne Invitational on Aug. 26 and 27. Miller took over for former coach Steve Shondell, who retired last spring. Miller said she is excited to see how her team reacts to facing opponents for the first time. The biggest area of focus this offseason for the Cardinals was improvement on defense, she said. Senior outside hitter Mackenzie Kitchel, who was named to the preseason All-MAC West Division team, has high expectations for her team this season. “I’m very confident in all of our players, and I think that it’s going to be an exciting moment to see everyone hit the ground running once we play these new teams,” she said. The volleyball team will take on Youngstown State at 4 p.m. Aug. 26, followed by Murray State at 10 a.m. and Fort Wayne at 7 p.m. Aug. 27.